Balon Mundial is an Italian non-profit organisation, created to support and improve football and sport as tools for social inclusion. 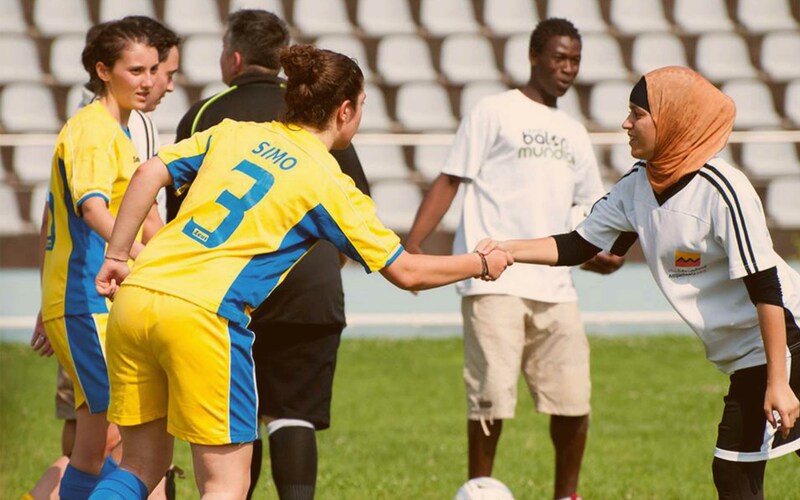 Its football-based programmes tackle ethnic and gender inequality, combat exclusion and challenge social barriers. Balon Mundial uses football as a medium to actively support migrants in the leadership building process to become responsible community leaders. Besides its annual tournament, during the year Balon Mundial also works with refugee teams and helps networking. These on-going projects are focused on linking football team activities to the community building process. Balon Mundial aims at empowering both established leaders and young leaders in the sensitive work of answering to the community desires, needs and aspirations, while creating relationships with local institutions in order to propose sport activities.